Chineseffect is constantly evolving to make your studies more engaging, more fun and thanx to that more efficient. This is a new format – VIDEO PHRASES. Don’t forget to play the sound. 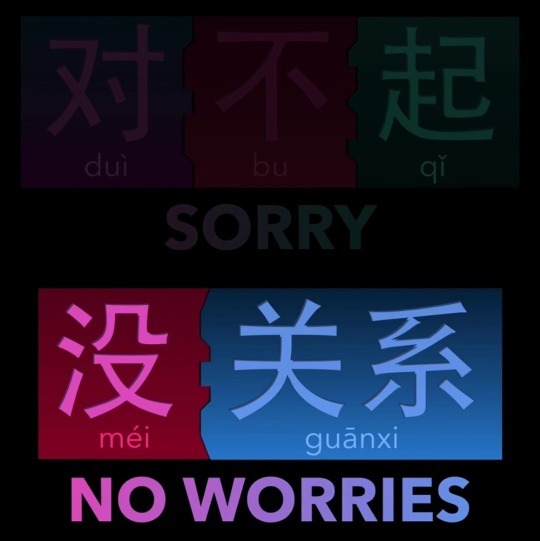 The phrase 没关系 /méi guānxi/ lit. means NO RELATIONSHIP. More phrases of this kind (THANK YOU, SORRY, SORRY TO BOTHER, THANX FOR YOUR FAVOR etc…) HERE. Hope you like this new format!